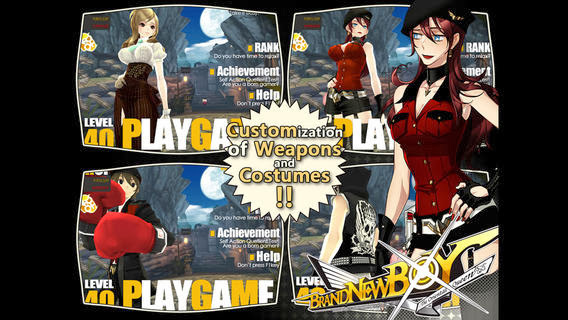 Brandnew Boy v1.1.0 – Jump into a explosive ‘3D Action RPG’ adventure based on the Unreal 3 Engine! Rookie doesn’t know who he is, or how he got here, but one thing has been made terribly clear: he’ll have to fight to stay alive if he wants to find out. Brandnew Boy is heart-stopping, breath-taking 3D combat adventure built on Unreal Engine 3 for an unbelievable iOS action experience. Stranded this strange and sometimes beautiful place, “Rookie” finds he has limited time to contemplate his circumstances. The natives are bloodthirsty, and Rookie seems to be the only thing they think will quench that thirst. Accompanied by a television-faced robot whose origins are no less mysterious than his own, Rookie must search for answers—if he can survive. ▷ SIMPLE CONTROL : An innovative and intuitive new control system streamlines combat for the touchscreen, avoiding clutter, yet allowing for spectacular combos and stunning fight sequences through simple taps and swipes. ▷ UNREAL ENGINE : Beautifully textured, dramatically lit environments provide the stage for battle after battle in this relentlessly action-packed game Cartoon inspired characters unlike any you’ve ever seen inhabit a world unlike any other, engaging in constant combat that makes full use of Unreal Engine 3 power and versatility. 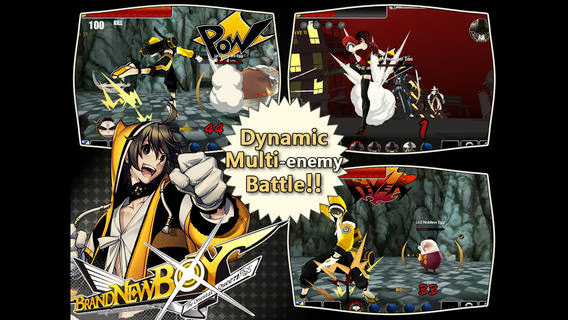 ▷ DYNAMIC COMBAT : Enemies use their own particular styles of combat, special attacks, shields, and strengths to bring the hammer down on Rookie, requiring the player to continually improve skills and learn new tactics—and they may attack up to five at a time. ▷ TWO GAME MODES : You can take your pick and enjoy between existing ‘Scenario mode’ and new ‘Infinity mode’. ▷ SUMMON BOSSES : Defeating the game’s haunting, devastating bosses allows Rookie to summon these demon-like fighters on his own behalf as a special attack. ** You can turn off In-App Purchasing in the iOS settings. -Changed field layout of Infinity Mode. -Added accessories for Alice Uniform. -Added attack timing bar for female character. -Increased level cap up to 50.